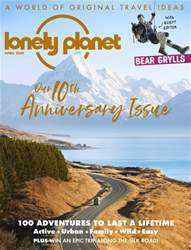 (1 Customer Reviews) | Write Review 12 issues per year Feed your love of travel with award-winning Lonely Planet Traveller (UK). Inside you'll find topical ideas for easy inspirational weekend breaks and more adventurous experiences to try out, helped by the insider knowledge of Lonely Planet's many experts around the world. You'll be taken on a journey through words and beautiful photography, with highly atmospheric features transporting you to spectacular landscapes and allowing local people to reveal their culture, history ,food, drink and the natural wonders that surround them. Looking for Lonely Planet Traveller (UK) in print? Unfortunately pocketmags.com does not sell print copies of Lonely Planet Traveller (UK), but all is not lost. Our partner at magazine.co.uk sells print subscriptions at the best prices online. 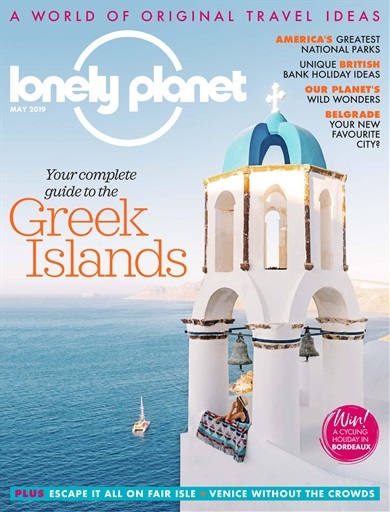 Feed your love of travel with award-winning Lonely Planet Traveller (UK). Inside you'll find topical ideas for easy inspirational weekend breaks and more adventurous experiences to try out, helped by the insider knowledge of Lonely Planet's many experts around the world. You'll be taken on a journey through words and beautiful photography, with highly atmospheric features transporting you to spectacular landscapes and allowing local people to reveal their culture, history ,food, drink and the natural wonders that surround them. You'll receive 12 issues during a 1 year Lonely Planet Traveller (UK) magazine subscription. The magazine is very informative and has a great selection of pictures. 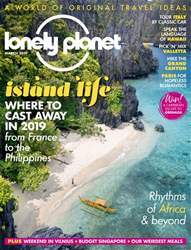 Below is a selection of articles in Lonely Planet Traveller (UK) May 2019. You'll receive 12 issues during a 1 year Lonely Planet Traveller (UK) magazine print subscription.